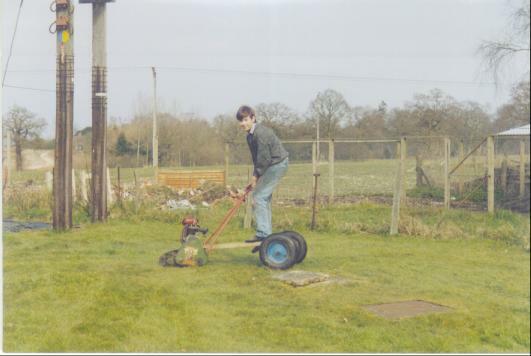 Me driving the garden tractor. 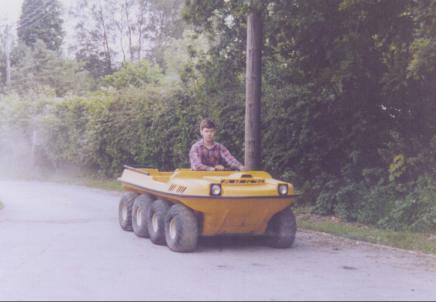 I could reverse the trailer too. 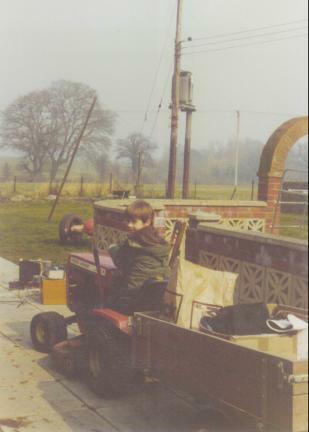 Attach a trailer to your Suffolk Punch mower, and presto, no more walking! 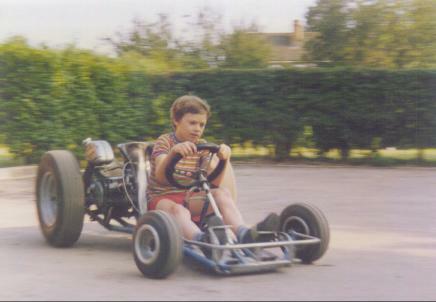 My younger brother Andy driving a modified kart - it had the engine of a Honda 50 'chicken chaser' on it with Mini rear wheels. Quite fun. My sister Ros drove it into the garage. 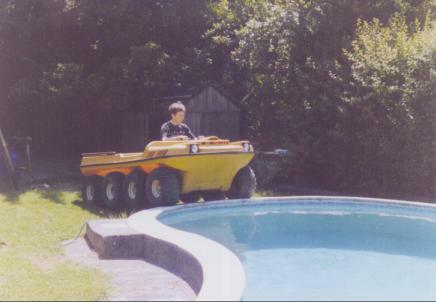 The next go-kart. 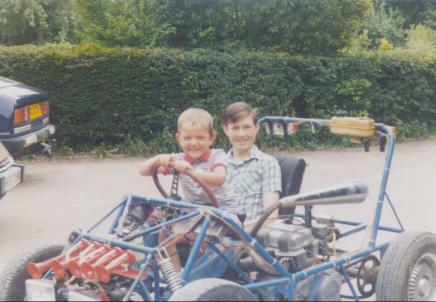 This one was a space frame that Dad made up, and a combination of Honda CB250T engine/box and Hillman Imp running gear. And Cowdery instrumentation / Dukes of Hazzard air horns! My sister Ros went out one day and when she came back her bicycle had been turned into this Harley wannabee! The old Suffolk Punch mower engine pressed into service again. 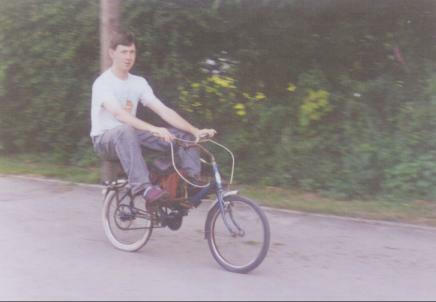 Note the raked back handle bars and laid back seating arrangement. The crank was utilised as an intermediate shaft for the gearing, and the front and rear chain sprockets swapped. 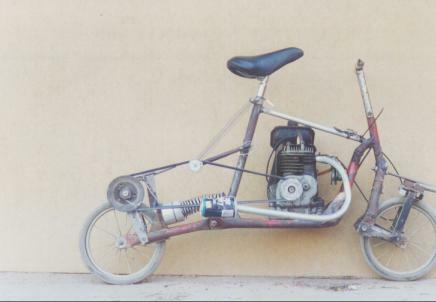 It retained the three speed back wheel, and could get up to about 30mph on a decent road. 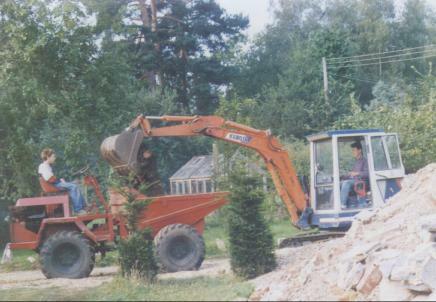 When rebuilding our family home, we had a mechanical excavator and dumper to use. 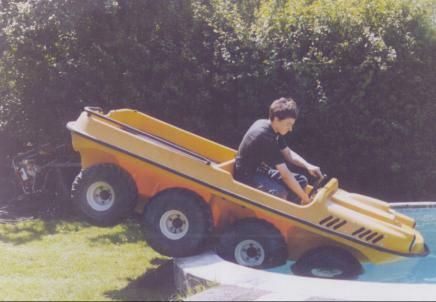 Andy is driving the dumper and I am in the digger. We obtained an Argocat at one stage. Quite hairy, although it had a lousy engine in it. Too late to turn back!!! Whew, it does float. 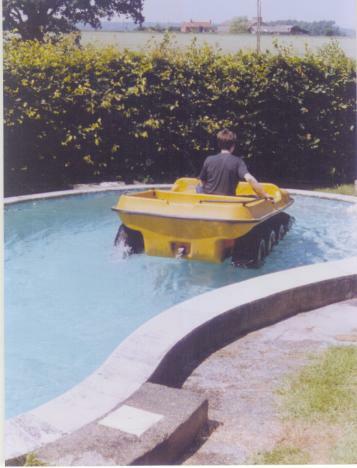 Well, it actually sank soon after this as we'd forgotten to put in the drain plugs!! !.